JAIPUR: The death toll in Rajasthan due to swin flu (H1N1) climbed to 468 until December 22 this year out of the 6,839 people who contracted the influenza virus, even though there has been a steep decline in reported cases in the last two months. The state capital accounts for the maximum 94 deaths due to H1N1, also known as swine flu, health department officials told IANS. While the total number of swine flu positive cases from January 1 to December 22, 2015, climbed to 6,839, there has been a slowdown in reported cases in the last two months. From October 27 to December 22, only 36 cases were reported. The figure had stood at 6,803 on October 27. “Out of the 6,839 swine flu positive people, 6770 were from Rajasthan while 69 were people from other states who had come to the state,” the officials said. According to the state government’s health department records, 2489 positive cases, the maximum in Rajasthan, have been reported from Jaipur, followed by Kota at 790, Jodhpur at 370, and Ajmer at 334. The state government has, meanwhile, launched a campaign to raise awareness about swine flu. Posters and banners giving details about symptoms of the disease have been put up near government hospitals. 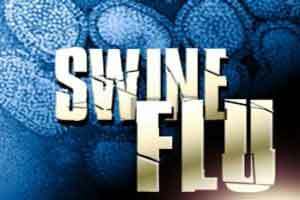 Directions have been issued to conduct diagnostic tests at the earliest on people showing signs of swine flu.